As a young boy, Adrian Hood often visited his great grandpa’s cattle farm. The fond memories of his time there helped to shape his vision for the future. What began as a dream to own a small hobby farm has grown into a full-scale operation. We raise grass-fed beef, sell hardwood lumber, and quality kiln-dried live-edge slabs. Our wood is kiln-dried using our in-house vacuum kiln that was invented to dry thicker stock. The moisture is removed prior to selling, so it's ready to work into furniture. If you’re looking for quality live-edge slabs, you can rest assured that with Hood Farms and Sawmill, you’re getting a premium product. At Hood Farms and Sawmill, we value being a family-owned and operated business that provides quality products at an affordable price. Check out our products below! 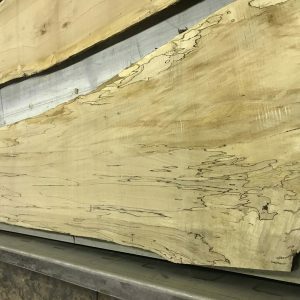 Although we offer an array of products, our specialty is live edge wood slabs in Indiana. Live edge wood slabs retain the natural beauty of the trunk they come from. In other words, no two slabs are exactly alike. That being said, they make great options for statement furniture pieces, such as tables and countertops. 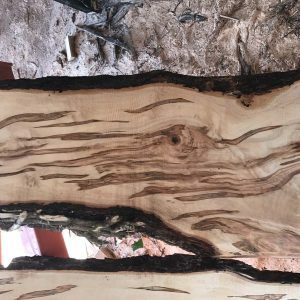 We offer a variety of species, including ambrosia maple, ash, hackberry, hickory, Osage orange,red oak, spalted maple, and walnut wood slabs for sale. 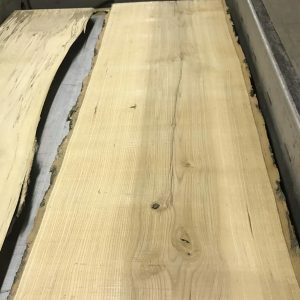 Our inventory is continuously changing, so for more information about our locally harvested live edge slabs for sale, and to stop fretting to find a reputable place with quality product, contact us today! Live edge planks keep the true essence of the tree they came from. Essentially, this means that they are as authentic as it gets. In other words, they provide an organic and natural aspect that you can’t find in average lumber that’s been altered. These qualities create a truly rustic appeal that only the authenticity of live edge wood can provide. As previously stated, live edge wood is not altered in any way. This means that each slab has a unique and authentic aspect that you won’t be able to find in another. Sure, you can find slabs that are similar to each other because they came from the same tree. But, natural edge wood slabs have different qualities and aspects, which make them unique. So, if you truly want your furniture to stand out, then live edge wood is the best option. Aside from the obvious aesthetic advantages of live edge wood, it’s ultimately one of the most environmentally friendly types of lumber. This is because live edge slabs don’t cut corners (literally). Since their ultimate appeal lies in the fact that they retain their natural essence and shape, the corners aren’t cut, and the slab isn’t formed into a smaller piece. Therefore, more of the tree is used, which limits waste. 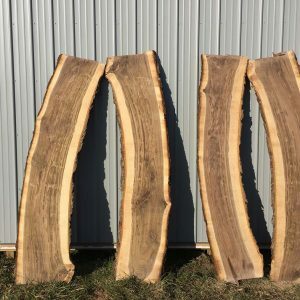 Since Hood Farms and Sawmill is dedicated to providing each and every one of our customers with upscale pieces of wood that they won’t have to worry about rigorously maintaining, we offer kiln dried live edge wood. If you’re unfamiliar with kiln dried wood, it’s basically wood that we dry in an enclosed area where we have full control of different aspects, such as temperature. Ultimately, we have the ability to create the perfect environment for wood to dry. One of the greatest aspects of kiln dried lumber is the turnaround time. While air drying wood can sometimes take up to a month, we can kiln dry our lumber within a day, which is great for our industrial clients. Another benefit of kiln dried lumber is the fact we have full control of the environment it’s dried in. This means that we can dry the wood at a speed and in conditions that we think will ultimately result in the highest quality possible. Finally, you won’t have to worry about any bugs or insects hiding in your lumber because we make sure the wood is completely clean and safe after it’s dry. Whether you purchase some of our vacuum kiln dried or live edge wood slabs for sale, our products have a rustic appeal that is perfect for your home! At Hood Farms and Sawmill, we understand the importance of crafting the right design aesthetic for your home. That’s why we’ll work directly with you to help find the perfect piece to fits your project, budget, and overall tastes. 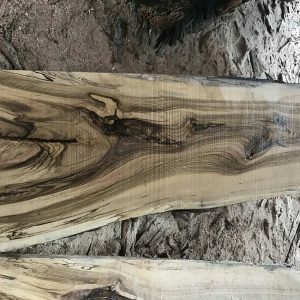 Although we offer a variety of kiln dried and live edge lumber for sale, one of the most popular types is walnut, and here’s why! Aside from our maple slabs, our live black walnut slabs are the most popular live edge wood we have for sale. 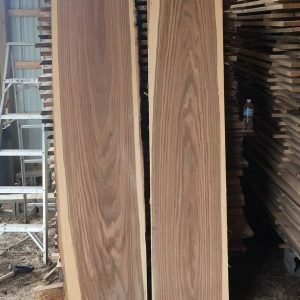 This is because black walnut slabs have the perfect balance of density, roughness, and beauty to create an overall authentic and rustic appeal that many Indiana homeowners strive for. While black walnut has the perfect whimsical look that matches the welcoming design many homeowners find on Pinterest, all of our walnut slabs for sale are perfect for any homeowner who wants to achieve a cohesive aesthetic. So, what are you waiting for? If you want to finally achieve a rustic look in your home, consider using a live edge walnut slab in your next furniture project! 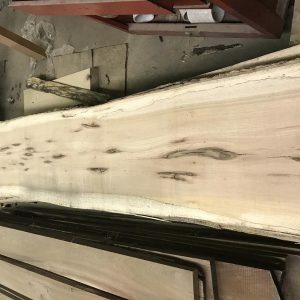 If you’re not looking for where to buy wood slabs, then you might be looking for a reputable place that has grass fed beef for sale. In addition to selling lumber products, such as live edge slabs, we also offer locally raised, grass fed beef! At Hood Farms and Sawmill we value the importance of humanely treating cattle. Between our values and high demand, we partner with other local farms that believe and participate in the same way we nurture our animals. This means our grazing practices are quality assured in the sense that our animals are treated with care. As a result, when you buy grass fed meat from our local farm, you will receive a truly premium product. 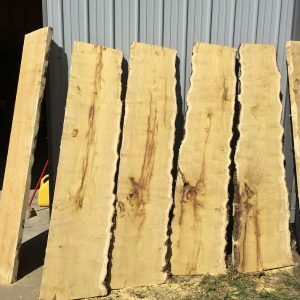 Whether you’re looking for a place to purchase live edge slabs, kiln dried wood, or grass fed beef, Hood Farms and Sawmill is a reputable family-owned and operated business that you can rely on. To place an order or inquire about our products, contact us today at (317) 448-6662!